The Caribbean Tourism Organization's UK Travel Trade pages are specifically designed to provide you, the trade professional, with up to date information on the Organization, its membership, activities and events. Whether you’re a tour operator looking for new products, or a travel agent looking to build on your knowledge to become a Caribbean specialist, you’ll find a wealth of information here. Are you a Travel Agent, Home-worker, airline, cruiseline or tour operator reservation sales staff? The Caribbean Tourism Organization’s online training programme – Caribbean Travel Guru www.caribbeantravelguru.com provides a wealth of information that is essential for selling the fantastic Caribbean region. The programme takes you on a tour of the Caribbean and you will learn about the diverse products the region has to offer. Once completed, you will become a Caribbean Travel Guru, equipped with a host of knowledge to help you plan the perfect Caribbean holiday for your clients. There is also the opportunity to win some great prizes, while working through the programme; you have the chance to be rewarded for completing the test, quizzes and making bookings. If you're organising a conference, convention or planning incentives for your employees, the Caribbean can’t be beaten as a destination. The region has a desirable reputation of hosting major events that stretches back decades. From high-profile gatherings of heads of state to company functions and group incentives, the Caribbean has all the right elements to make such occasions a success. The CTO UK Chapter is a forum where individuals connected with selling and providing travel services in the Caribbean, work together to develop greater awareness of the region and to look at developing profitable commercial opportunities. All our members are dedicated professionals willing to share their expertise and provide valuable assistance to travellers and travel organisers, making travel plans to the Caribbean. 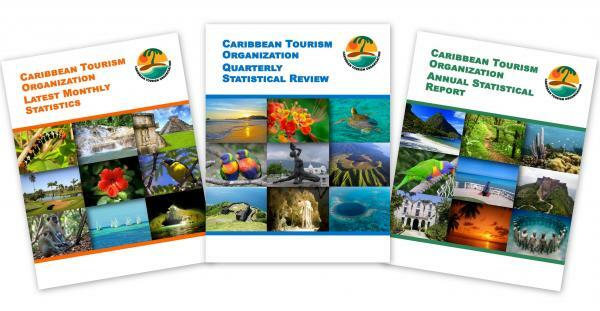 The Caribbean Tourism Organization produces valuable statistical information on travel within the Caribbean region. CTO is the Caribbean’s premier tourism research and development agency. Our Research and Information Technology Department has been conducting research across the region for the past 41 years. We have amassed considerable expertise in the compilation of reliable tourism statistics, market research and tourism information management. Visit www.onecaribbean.org/statistics/ for the latest arrival figures, quarterly and annual reports .